An updated and complete listing of Princeton area public schools, private schools, pre-schools, alternative learning programs, educational programs and services, special needs, Adult education, SAT/ACT prep, recreational activities, after-school activities, informative articles, business listings, Open houses, kids party ideas, schools from the surrounding area, helpful links, and more! Princeton Academy of the Sacred Heart is an independent school for boys in Kindergarten through Grade 8. Our mission is to develop young men with active and creative minds, a sense of understanding and compassion for others, and the courage to act on their beliefs. We educate the whole boy in mind, body and spirit. A rigorous, inquiry-based, hands-on academic program joins unparalleled character development and a wide variety of arts, athletics and co-curriculars to provide an ideal learning environment for boys. Creative. Compassionate. Courageous. We bring out the best in boys. Princeton Junior School's expertise in students from age 2 through Grade 5 creates globally-minded, empowered and joyful learners. Our International Baccalaureate curriculum launches a life-long journey of inquiry, action and reflection. PJS scholars learn to be principled, open-minded communicators with rich academic strengths and strong character traits. Our light-filled schoolhouse is exposed to the natural world, ensuring that students feel a connection to the outdoors and providing an ideal backdrop for our acclaimed environmental studies program, Learning Through Landscapes. PJS is an IB World School, a member of the National Association of Independent Schools (NAIS) and accredited by the New Jersey Association of Independent Schools (NJAIS). Private tours available Monday-Thursday 8am -12pm. The Bridge Academy is a private, non-profit school approved by the state of New Jersey for students with language-based learning disabilities such as dyslexia, dysgraphia, auditory processing and ADHD. It is the only accredited Orton-Gillingham program in New Jersey. The school serves students ages 8-18 of average or higher intellectual potential and strives to empower students to bridge the gap between potential and performance. The Bridge Academy uses research-based, classroom-proven techniques taught by experienced professionals to help students thrive in school and achieve academic success. A summer program is also available. Currently 68 students are enrolled from 24 different school districts in New Jersey and from nearby towns in Pennsylvania. Please call 609-844-0770 or bridgeacademynj.org for more information. Cambridge School, K-12, in Pennington, NJ, (Princeton area) is an independent special education school for children who have been diagnosed with language-based learning differences, such as dyslexia, ADHD, and auditory processing disorder. Our program is built on evidence-based research and emphasizes critical thinking, problem-solving, executive function, and metacognitive skills. Students with language-based learning differences require individualized attention, and Cambridge offers a curriculum that is specifically designed to help students overcome their challenges. Cambridge believes in providing a comprehensive program that supports the whole child by offering dynamic visual and performing arts programs, an athletics program, and a variety of extracurricular clubs. Our campus is located in the Princeton, NJ area, though our students come from all over New Jersey and parts of Pennsylvania, particularly Bucks County. Princeton Montessori School, founded in 1968, is an independent, coeducational day school dedicated to the highest quality education of children, offering programs for infants through 8th grade. We are dedicated to igniting a passion for learning and nurturing the potential in each child in accordance with the principles of the Montessori philosophy. It is our mission to promote intrinsic motivation, independence, social responsibility, and a love of learning so that as global citizens, our students can lead fulfilling lives and work to better the world. Authorized by The International Baccalaureate® (IB) Middle Years Programme (MYP) for students aged 11-16, our graduates are confident, competent and well prepared for success in life. Princeton Montessori School celebrates its 50th anniversary of providing children from the greater Princeton area with the very best in Montessori education. Tours weekdays by appointment. Wilberforce provides a spiritually nourishing and rigorous education for children from pre-K through 12th grade. We know that formation happens during all the hours that students spend in school, and we are intentional in creating an environment where your children will be formed as lifelong learners, with good habits of life and faith as well as study. Our students receive a distinctively Christian education, with methods proven to produce academic excellence; our classes are taught at a grade level ahead, and all students are guided along this accelerated track. Students are welcomed into a joyful community of learners that instills in them a sense of wonder and depth of inquiry, and provides opportunities to explore new things and grow. 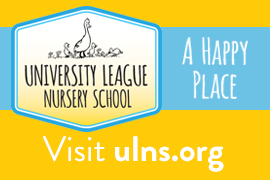 University League Nursery School is a non-profit, non-sectarian, cooperative preschool situated in Princeton, NJ serving both university and community families. We are committed to providing an environment where children can enjoy happy, safe and zestful experiences that nurture their self-confidence and independence. Our blend of families from Princeton University and the local community makes for a vibrant, engaging environment for both children and adults. We began as a traditional morning cooperative nursery school, and as family needs have changed, we have added program options to help accommodate working parents - now offering early drop-off for 2019/2020 school year. ULNS is one of the few independent nursery schools in the Princeton area accredited by the National Association for the Education of Young Children (NAEYC), a highly respected professional organization that promotes excellence in early childhood education nationwide. As a cooperative nursery school celebrating more than fifty years of service to the broader Princeton community, Nassau Nursery School continues to be deeply committed to the nurturing of the whole child; to the emotional, physical, social and cognitive growth of each student, everyday. Nassau Nursery embraces a love of learning and a curiosity of the world through both traditional cognitive learning approaches and interactive play. Through creative daily curriculum and extensive special program offerings (including yoga, music, art, interactive science, field trips and more), the school provides a uniquely inspiring and nurturing learning environment for young preschool through junior kindergarten aged children. 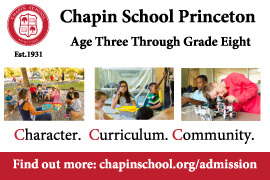 Accepting applications for the 2013/2014 school year now! The New School for Music Study is one of the country's leading centers in piano education and provides a variety of programs and classes for piano students. Our school is conveniently located in the Princeton area of central New Jersey, offering piano lessons for students from Princeton, Plainsboro, East Windsor, West Windsor, Kingston and other surrounding communities. Blawenburg Village School (BVS) is a licensed, non-profit preschool for children ages 2 - 6 in the Montgomery, Princeton, Hopewell and surrounding area. BVS is rooted in the Christian faith and practice of the Blawenburg Reformed Church. Open to all faiths, the preschool seeks to nurture the social, developmental, emotional and spiritual lives of children. With our small class sizes and low student-to-teacher ratios, our qualified teachers and staff work diligently to meet each child's individual developmental needs. In addition to our half-day preschool/nursery school program, we offer afternoon enrichment, a tutoring program, Mom's Morning Out, parent/child classes, summer camps and a monthly Kids' Night Out. Schedule a tour online by visiting www.blawenburgvillageschool.com/schedule-a-tour. Princeton Friends School is a small, progressive Quaker coeducational day school for grades pre-k to 8. In an atmosphere of high intellectual expectation and collaboration, young people engage their natural curiosity to gain core knowledge, acquire life skills, express their voices, passions, and gifts, and develop responsibility for themselves and service to others. Here, children are known, respected, challenged, and loved. Wavelength helps organizations who have valuable alumni communities and want to do more with them. Specifically, Wavelength provides an enhanced alumni directory that connects alumni to each other and their organization. Wavelength combines an organization’s data with the latest publicly available information about each person, making it immediately useful. Wavelength's data means 70% of your members are on the platform from day one. You don't have to spend hours onboarding people. On the platform, alumni can search for other members, update their information, and donate to their organizations. Similarly, administrators can accept donations, send targeted emails, and access updated data.